Ellison is a recognized SaaS leader who brings senior executive experience from SuccessFactors/SAP, Saba, Hyperion, Siebel, and Oracle. Everwise, a leading learning-experience platform for professional development, announced today that the company’s Board of Directors has appointed Mercedes Ellison as Chief Executive Officer. Mercedes will assume day-to-day leadership of the company and will also join Everwise’s Board of Directors. Ellison brings to Everwise a history of successfully implementing business and revenue-growth strategies which produce consistent results. 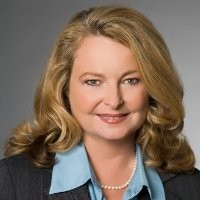 She is a recognized leader in the software industry and has held senior executive positions in sales, marketing, alliances and business development with companies such as SuccessFactors/SAP, Saba, Hyperion, Siebel, and Oracle. Critically, her leadership experience has included roles within SaaS businesses on the cutting edge of driving business performance through employee experience. In conjunction with her business success, Ellison is known for providing career development and mentoring support to others. These efforts have been recognized through two prestigious honors - the highly coveted “Stevie Award” and the rigorously-judged YWCA “Tribute to Women Award” - based on exemplary individual achievements in business and giving back to the community.